When Reason Breaks by Cindy L. Rodriguez (Bought) - A Goth girl with an attitude problem, Elizabeth Davis must learn to control her anger before it destroys her. Emily Delgado appears to be a smart, sweet girl, with a normal life, but as depression clutches at her, she struggles to feel normal. Both girls are in Ms. Diaz’s English class, where they connect to the words of Emily Dickinson. Both are hovering on the edge of an emotional precipice. One of them will attempt suicide. And with Dickinson’s poetry as their guide, both girls must conquer their personal demons to ever be happy. In an emotionally taut novel with a richly diverse cast of characters, readers will relish in the poetry of Emily Dickinson and be completely swept up in the turmoil of two girls grappling with demons beyond their control. From Goodreads. Trigger Warning: This book features a suicide attempt and violence. 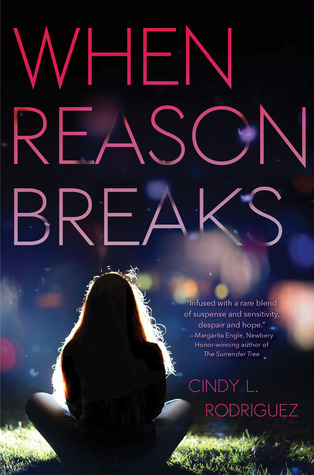 When Reason Breaks by Cindy L. Roqriguez is one of those quietly beautiful stories that is at once heartbreaking, but also leaves you feeling hopeful. Something happened to Elizabeth Davis last year, and since, she's completely changed her style to become a goth, and has issues with getting close to people, and a relationship with her mother that seems to be breaking down. Emily Delgado is the Latina (making this book #OwnVoices) daughter of the town council chairman, who is always in the public eye. Her father is very much aware of how Latinx people are seen, and with his position, he wants to disprove the judgement. He will not be embarrassed, as Emily knows, after a photo of her kissing a guy and holding an alcoholic drink in her hand at a party was posted on social media. The consequences were humiliating community service and giving a talk on underage drinking. As the months go by, Elizabeth struggles to get past what happened, the way her mum seems to have emotionally checked out on her, controlling her anger, and the emotional turmoil she can't seem to escape. 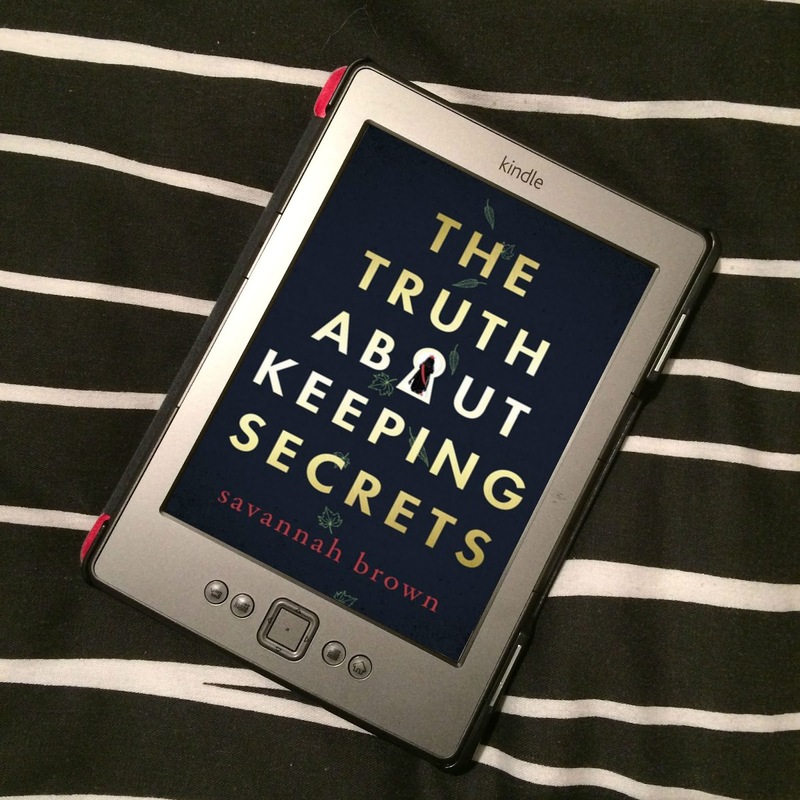 Emily begins to crumble under the pressure of being the perfect daughter, and the pressure from her friends to be a "normal" teenager, while also trying to keep her relationship with her boyfriend Kevin a secret. Both find solace in Ms. Diaz's English class, where they discover the poems of Emily Dickinson, whose words they can relate to. But there's only so much the words of a dead poet can do, and for one girl, things become too much, and life becomes a burden she wishes to be released from. This book, people. It's just so beautifully told. Looking back, not a huge amount happens in the great scheme of things, but it starts with the suicide attempt, and then jumps to eight months earlier, and we get to see the events that lead to Elizabeth and Emily's declines. Whatever happened to Elizabeth happens before the book starts, and we get a small flashback to the party where the photo of Emily was taken that leads to such a public humiliation for her. But otherwise, we get to see their everyday lives, and how, slowly but surely, things seem to fall out of their control. Even though not a great deal really happens, I was still captivated by Elizabeth and Emily's stories, which were treated with so much gentleness; the story is dual narrated by both characters in third person, and the two react so differently to this feeling of loss of control, but there's never a sense that either of them are to blame for how they reacted or what was happening to them - not Elizabeth being quick to anger, or Emily withdrawing into herself. I felt such a sense of love and understanding from the author for these characters as their stories were told, mirroring my own feelings to these two girls who were having such a hard time. I loved how this story was told. As I said, the book starts with one girl's attempt to commit suicide on 7th March, but we don't know who. Throughout the book, there are letter chapters, written by one of the girls. There's the suicide note which one girl writes and leaves for their English teacher, Ms. Diaz. 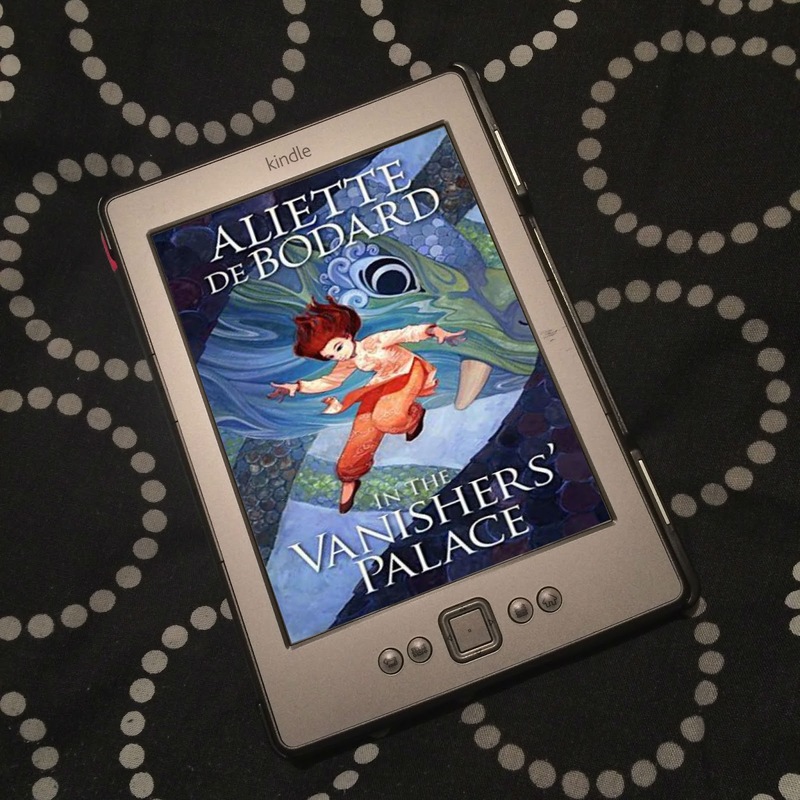 It's quite a long note, and it's split up, so we get parts of it as the book progresses. The letter isn't signed. But we also get to read the letters one of the girls writes to Ms. Diaz over the past eight months, in response to their class or things that happen. Again, these letters are never signed, and they could be by either of the two girls, despite how different they seem and how different they react. Because of this, and with what Ms. Diaz does with the letters, there is a twist. It's a twist I did see coming, but one I was never completely sure of. I was never certain who those letters were from, and never certain who would be the one to attempt to die by suicide. I loved Ms. Diaz and how much she seemed to care. Not only did she manage to get Elizabeth and Emily engaged and interested in the work of Emily Dickinson - and me, too - she genuinely cared about her students. And sure, if a teacher has any worries about their students, it's part of their job to make sure they voice their worries, but with Ms. Diaz and her worries, it seemed more than just a part of her job, and genuinely trying to help by reaching out. She wanted her students to be ok, she wanted them to do well, and encouraged and praised them in their work. She does make some mistakes, but I still really loved Ms. Diaz. She is the one who shows genuine care and concern towards these characters, which was quite lacking for them at home. Ms. Diaz is pretty fantastic. Now it says in the description that Emily has depression, and though this is something I would have assumed from her decline in the story, it's never actually mentioned in the book. Nor is it mentioned whether Elizabeth has depression or not, but I assumed she has depression, too. What we do know is that both girls end up on medication prescribed by a doctor. We don't know what the medication is, we don't know if they have been diagnosed with anything. This isn't something we see, but something we're told about. Although we do go on about how authors should "show, not tell", in this instance it helps that we don't have this information, because it's believable that it could be either Elizabeth or Emily who ends up wanting to end their life - if we know of a diagnosis and what they've been prescribed, and they're not diagnosed with or prescribed the same thing, maybe we'd be able to guess who the girl in the clearing in the forest at the beginning taking pills is. We don't know whether they've both been diagnosed with depression and anti-depressants, if only one of them as, or if neither of them has - it could be they're seeing a doctor about something completely unrelated to mental illness. And while you might think this is possibly unfair - why can't we know if both of them have a mental illness or not? Why can't we know what's going on with their health? Mental illness is such a serious subject, why isn't Rodriguez being clearer about who is struggling with depression to such a degree that they resort to suicide? - I, instead, think with the story being told in this way, we view the mental health and the struggles of both Elizabeth and Emily equally. It could be either one of the girls, and while we don't know, we take each of their stories, lives, struggles just as seriously as the other's. If we knew if either was diagnosed with depression, and/or given anti-depressants, would we dismiss the other girl's story, because we'd think it's obviously the character with the diagnosis/anti-depressants who decided to end her life? I don't know. I would hope not, but I don't know. 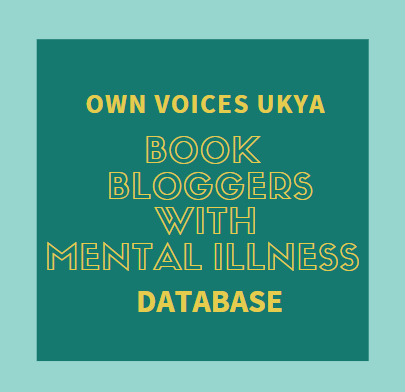 Let's imagine that we do; what if one girl is diagnosed, but they both have depression, and by dismissing the undiagnosed girl's story, we give more weight to the other's, our assumptions turn out wrong, and the other tries to end their life? It's too much like real life; some people and their struggles are dismissed, and they don't get the help they need, which can lead to a suicide attempt. But even if we weren't wrong, we can't dismiss someone else's story, someone else's life, someone else's struggles just because their story didn't lead to a suicide attempt. Their struggling isn't somehow less-than or not as important or worthy of our concern, or our hope that things do get better for them, whether they have a mental illness or not. So I think that leaving us in uncertainty over who attempted to end their life is such a clever tactic on Rodriguez's part, because we treat both Elizabeth and Emily's struggles with just as much importance, as we should do. My only niggle is with how this book ended. There was no discussion about the things that contributed to - though not led to - the girl who wanted to end her own life's depression. There is discussion related to the other girl and how she was treated by her family, but not about how the girl who wanted to end her life was treated by her family. Without giving anything away, sure, people have their problems and they don't always deal with things in the best way, or sometimes they're so occupied with what's happening in their own life that they don't see what they're doing, but both sets of parents fail their daughters is such massive ways, yet this is only discussed after the fact with for one girl. I think it should have been dealt with somehow, that both sets of parents behaviour was challenged. Not blamed for their daughter's depression, and not blamed for her wanting to end her life, but at least some acknowledgement that what they did could have - or in fact, did - contribute and exacerbate their daughter's depression, and showing regret at the things they've done. This could have been done, I can imagine how this could have been executed, but it wasn't, and I feel that is a failing of the book. Because friends and loved one can harm as well as help when it comes to someone's mental illness, and I do feel this needs to be acknowledged and discussed. But overall, When Reason Breaks is such a beautiful, heartbreaking story, and one I absolutely loved. It deals so well with mental illness, and it really warmed my heart to feel such love for these characters and what they were going through from the author. A really wonderful book.